All of our Year 6 children took part in a series of 8 mini workshops on health, drugs, IT safety, fire, first aid, road safety and the police. 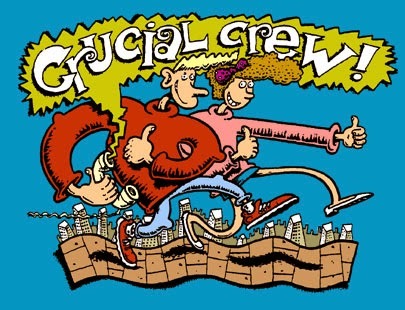 Click on link below to find out more about Crucial Crew and to play some interactive games about Health and Safety. Our Head of Kitchen would like to apologise that she had to change todays menu as the Ravioli was not delivered, sadly this was beyond her control. Action shots from the cross-country event at Framlingham College yesterday afternoon. Framlingham girls coming in 3rd and 4th places. We also used the event as our house team competition. These SRH runners all finished in the top 5 in their age group races - meaning that they qualify for the County Finals later this term. There were 9 schools in our event and over 400 children taking part. Harvest Festival in St Michael's Church, Framlingham last week. The session is for all parents to help you understand the way your child is taught Maths in school, and how you can help them. Please sing in at the office between 1.20- 1.30pm. There will be cakes for sale this Thursday after school in the front playground pavilion. FRIDAY AFTER HALF TERM (7 NOVEMBER). THANK YOU. If you have any out-grown good quality uniform the Parent Council will hold a second hand uniform sale on Parent Consultation evenings - Weds 19 and Thurs 20 November. Please drop it into the office after half term. Thank you for your contribution to this. Child’s Name + Child’s Class + which days dinner money is for. DEADLINE FOR PAYMENT IS MONDAY 10 NOVEMBER, PLEASE. The first day back after half term photos of all individual children and family groups will be taken. The children will need to be photographed in their school sweatshirts. If you wish to bring pre-school children into school to join your family group photo, please come to the hall at 8.30am with your children. With this letter please find the EATs catering menus that starts after half term. You can also find the link to the menu from the Parent page of the school website. EATs Catering are offering a special ‘Bonfire’ lunch on Weds 5 November. The menu includes Bangers & Mash, Spaghetti Rings and Glittering Sweetcorn, followed by Jelly Trifle with sprinkles or Firework Sponge. PLEASE NOTE WEDNESDAYS MENU WILL BE SERVED ON MONDAY 3 NOVEMBER THIS WEEK. Do please come along to St Michael’s church at 9.30am on Sunday 2 November (last Sunday in half term) to hear the Singing Club who will be the ‘Church Choir’ for that service. It would be lovely to welcome families from school at the service. Gardening club has finished now until after February half term when new letters will be sent out. Mr Byer will be running chess club for Year 5 & 6 children. It will be held on a Thursday from 12.30-1.15 in Mr Brook’s classroom. Please return the slip for the Christmas lunch choice for ALL CHILDREN, ideally by the end of this week, but please DO NOT PAY yet. Thank you. We have a Non-Pupil Day this Friday - 24 October, and next week is half term. The children return on Monday 3 November – which is also Photo Day – so please remember sweatshirts on the first day back! and reports of school events from the last half term? We are holding an Open Day for prospective parents on 7 November. If you have any friends or neighbours who may be interested in considering our school for their children, do please encourage them to come along that day to take a tour of the school and see us in action. (Ideally avoid 12.15-1pm lunchtime). Please note this Open Day is not for current parents. Action from 2nd round of matches. This week saw 3 excviting draws between Bulstrode, Hitcham and Mills. After 6 matches each 3 teams are level on 11 points. Bulstrode are in the lead on goal difference. Class DDPL have tasted savoury dips, which originate from different countries, such as raita from India and guacomole from Mexico. The children have used a base ingredient and added other flavourings of their choice to create their own individual dips. Our services this Thursday in St Michael’s church for Key Stage 1 start at 9:30am and Key Stage 2 at 10:30am. All parents are welcome to attend either service. Each child may bring in 1 or 2 items to present for our Harvest collection please. No glass jars or bottles please. Members of St Michael’s Church are very kindly making tea and coffee between 8.40am – 9.15am. Parents who arrive early will be offered refreshments. Please make sure you take up your seat in Church before the children arrive and PLEASE DO NOT take your drink to your pew. Just a reminder for these classes to remember their swim kit on Wednesday. If you have a bit of free time, the teachers would really appreciate any offers of help in LC especially on Fridays & PASB on Tuesday & Thursday afternoons. Thank you. Art Club spent last term making a series of wonderful elephants, inspired by the Go Elephant trail held in Norwich several years ago. The elephants will be displayed in shops and premises around Framlingham Town, so be on the look-out for how many you can see! Because of the clash of Philosophy with Computer club for Y5/6, the teachers have decided to move Philosophy club to a Thursday and to alternate it each half term with Board Games. So in the first half of each term will be Board Games & in the second half will be Philosophy (which will start on Thursday 6th November). Year 6 London trip has been booked for Tuesday 20 January, including a tour of the Houses of Parliament and hopefully a visit to the British Museum. Letter will follow in December. Snack packs will be available on the night £1.50 each. If your child is looking to have some spooky sporting fun during half-term, they can try the October Half-Term Chewits Sports & Dance Courses at Sir Robert Hitcham’s Primary; Football – Thursday 30th October; Multisport – Thursday 30th & Friday 31st October; Dance – Friday 31st October. It's great value - book before the 13th October and SAVE 20% that is just a cost of £11.20 per day! Book via www.chewitspremiersport.org or premierperformingarts.co.uk alternatively you can telephone our local office on 01473 427010. It’s that time of year again, when we need to place our order for the Christmas turkey in order to meet SCC Catering deadlines. It is a fun and sociable event and children are invited to join in even if they do not normally have a school meal. Children choosing to bring a packed lunch will eat in the hall with everyone else as usual. Please tell us if your child will want a Christmas Lunch, a Vegetarian option or will bring a packed lunch by completing the slip below. Please return the slip by Friday 7 November but DO NOT SEND PAYMENT YET. If you select a Christmas dinner, we are afraid that you will not be able to change your mind nearer the time. Please pay on Monday 15 December if you are having a school lunch. There is no additional cost of Christmas Lunch this year, it is the same as a normal lunch = £2.20. If your child is in Foundation or KS1 or is entitled to free school meals in KS2, there is no charge. Thank you to all parents for your support with school lunches on Census Day. We need a good number of parents at the AGM in order for it to run, so please give a small part of your day to support this if you can. Come along to meet the committee and get a better understanding of what the Friends do. They would welcome anyone who may have some new and exciting ideas or if you would just be happy to help out at events. Our services will take place on Thursday 16 October in St Michael’s church for Key Stage 1 at 9:30am and Key Stage 2 at 10:30am. All parents are welcome to attend either service. The Harvest services will include singing and prayers. These are Thanksgiving services in which classes have chosen items such as poems or songs to be presented by some of the children. Each child may bring in 1 or 2 items to present for our Harvest collection please. No glass jars or bottles please. Any food donations will be passed on to the Salvation Army Food Bank in Woodbridge. Fruit & Vegetables will go to the Community Club in Wickham Market. Members of St Michael’s Church are very kindly making tea and coffee between 8.40am – 9.15am. They wish to welcome any parents who arrive early and offer refreshments. Please make sure you take up your seat in Church before the children arrive. PLEASE DO NOT take your drink to your pew. Mr. Peabody, the most accomplished dog in the world, and his mischievous boy Sherman, use their time machine to go on the most outrageous adventures known to man or dog. They accidentally rip a hole in the universe, wreaking havoc on the most important events in world history. Before they forever alter the past, present and future, Mr. Peabody must come to the rescue. Together, they will make their mark on history. Letters for this will go home on Friday 10 October. Although our procedures in the past have always worked well, for whatever reason this year we are finding that new uniform orders seem to be going missing before they get home with the children. In order to prevent losses from occurring, going forward new uniform orders will have to be collected (and signed for) from the office. Please allow 2 full weeks from placing your order before checking with the office if it is available to collect. Thank you for your support in this. As in previous years we are again supporting Samaritan’s Purse. Each shoe box should be filled with items as specified in the leaflet handed out today and should be clearly labelled. PLEASE NOTE THAT DUE TO CUSTOMS REGULATIONS there are items that cannot be included – please read the leaflet. 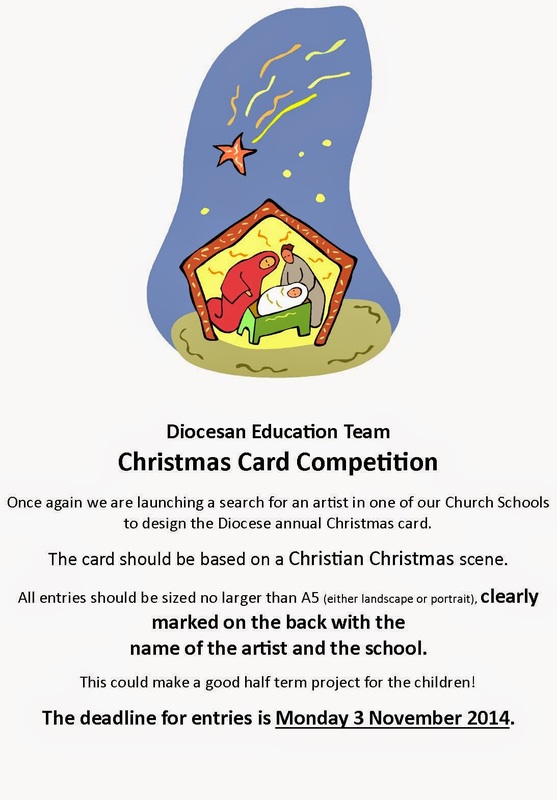 Extra leaflets are available from the school office. We cannot send the boxes if there is no £3 to cover the transport costs, so please only send in shoeboxes with the accompanying £3. Do not seal the box. Please return the filled shoe boxes to school by FRIDAY 7 NOVEMBER so that we can arrange collection. THANK YOU. DOES YOUR CHILD CATCH THE BUS HOME? Please can you remind your child on a daily basis whether they are catching the bus home? On a daily basis we have younger children who are unsure how they are getting home. Thank you. Please note they MUST be returned to the Admissions Team at Ipswich by 15 January 2015. ‘Strictly Western Barn Dance’ at Thomas Mills High School (7-10pm). Tickets from the TMHS Office £5 adult/ £3 child incl Country Pie Supper. Advance Notice: We have a Non-Pupil Day on Fri 24 October, just before half term.